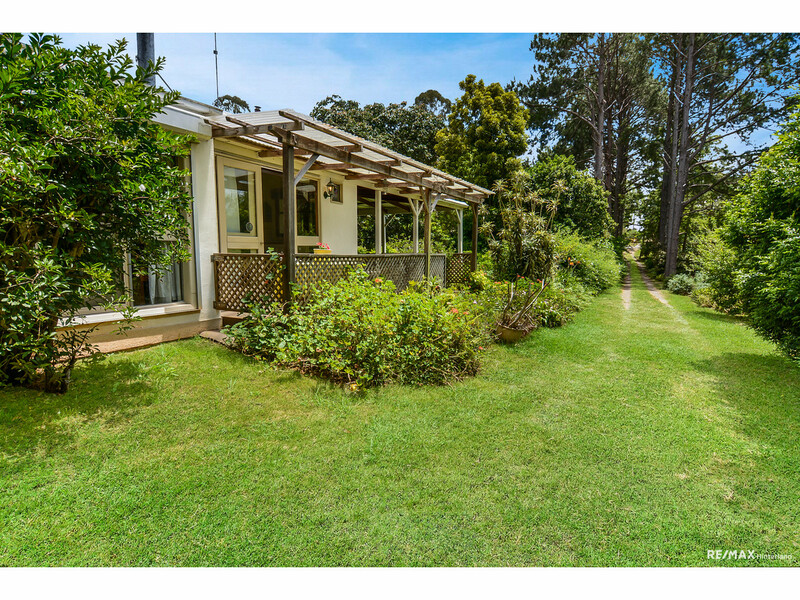 Privacy, peace and tranquility await! 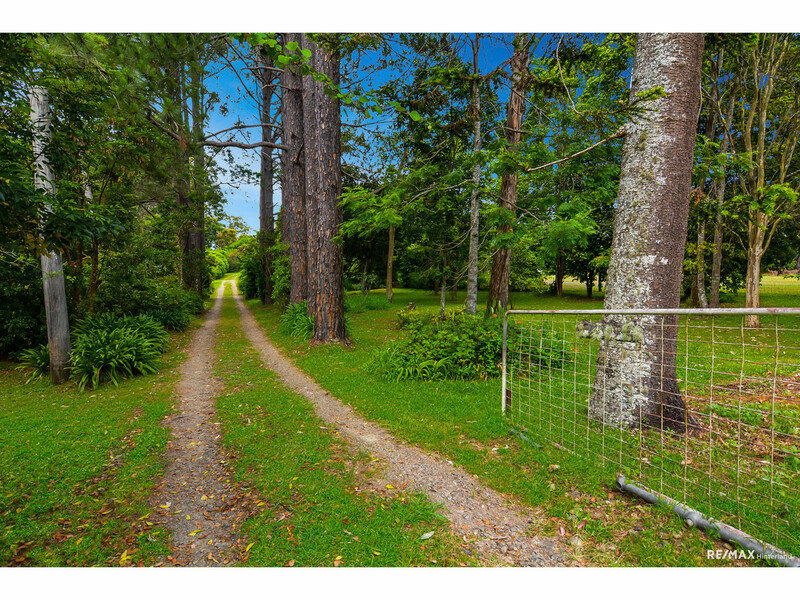 This is where you and your family can enjoy the most sought after lifestyle! 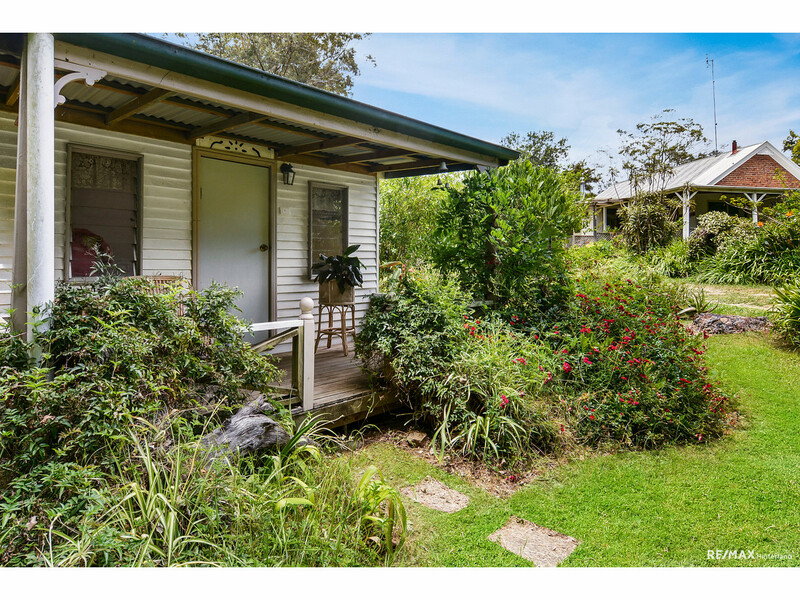 Peace and privacy assured, and only a scenic 10 minute drive from Maleny and 45 minutes from all that the Sunshine Coast has to offer! 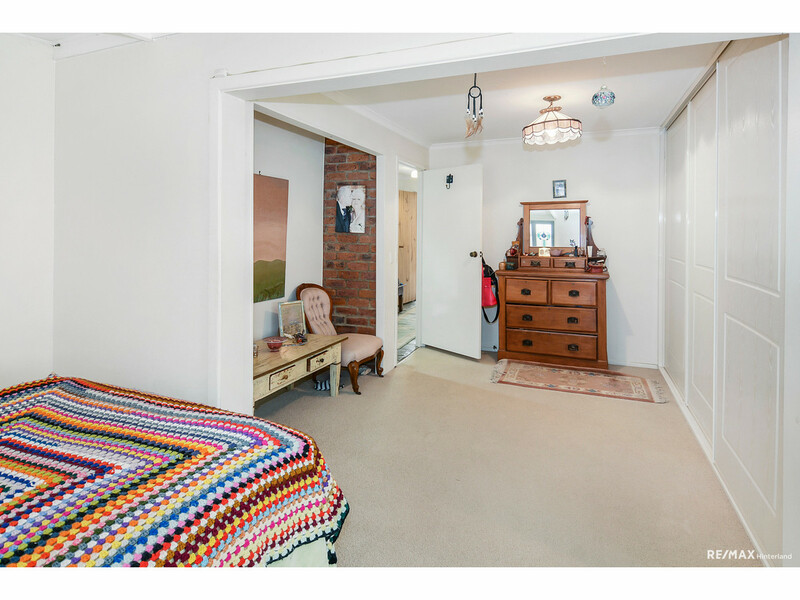 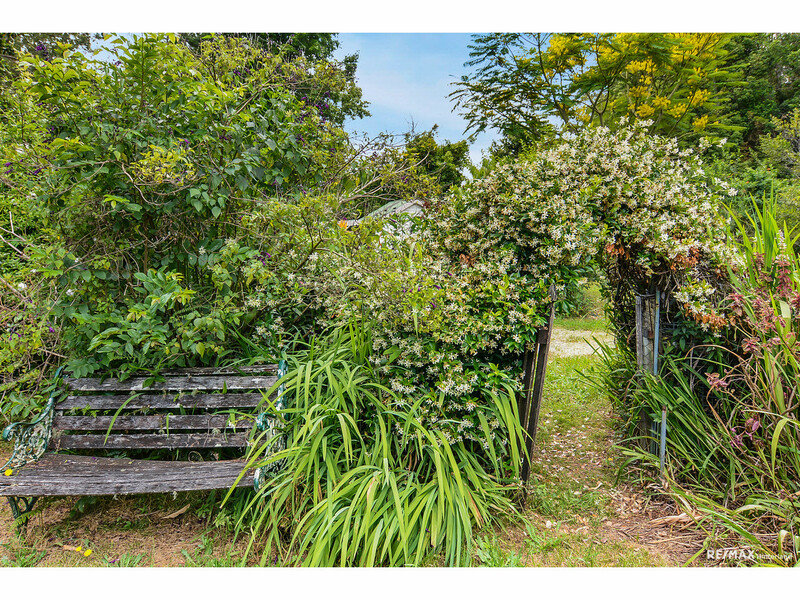 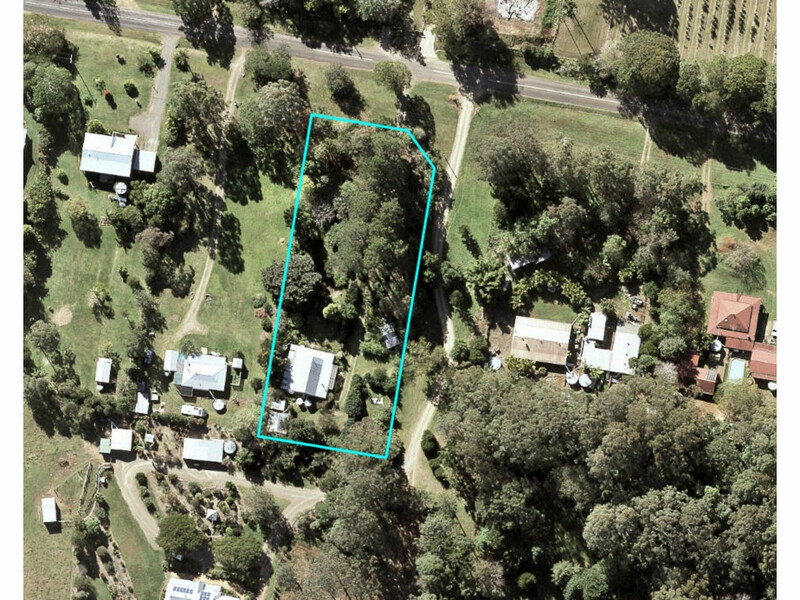 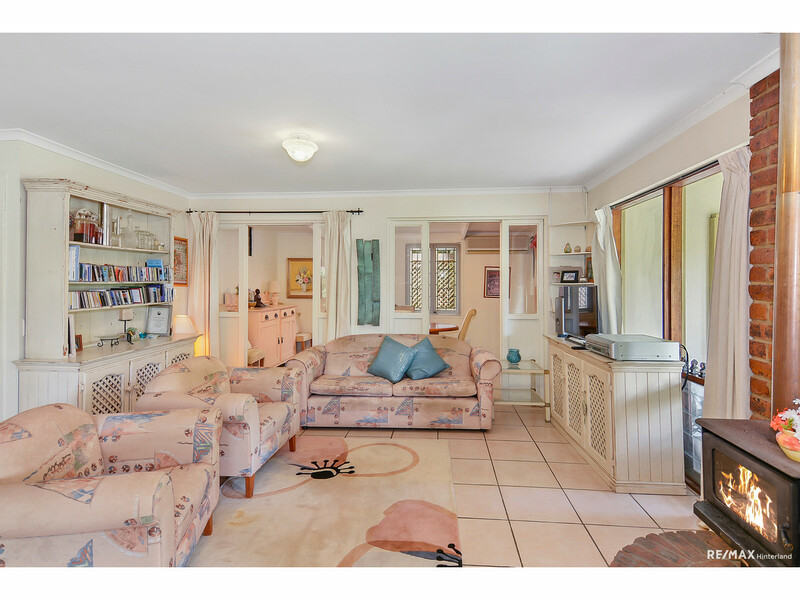 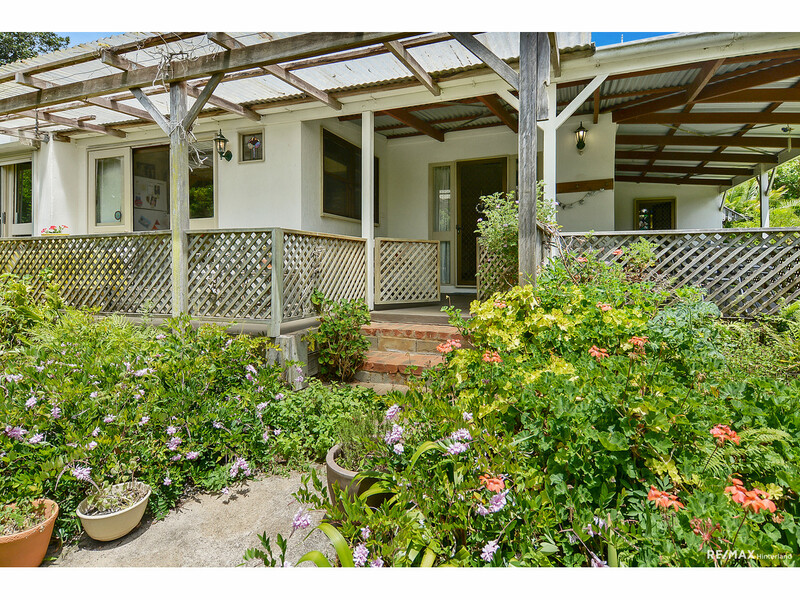 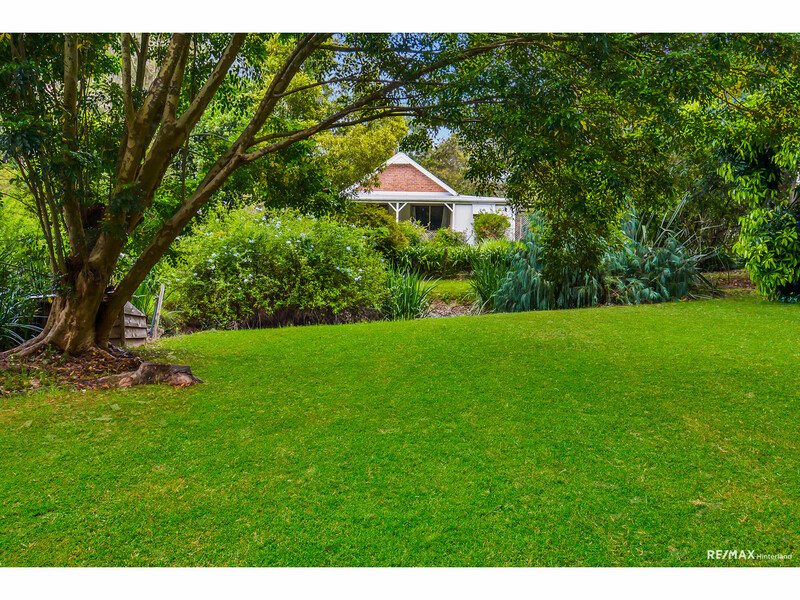 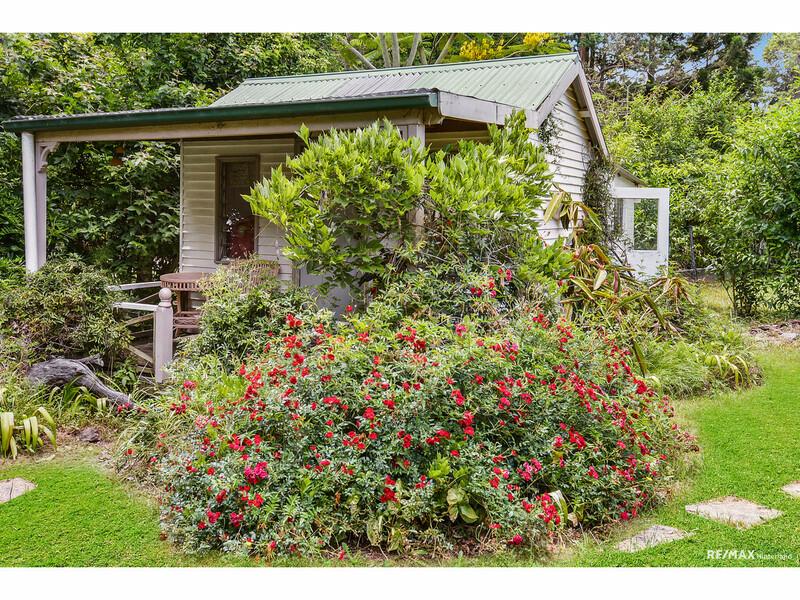 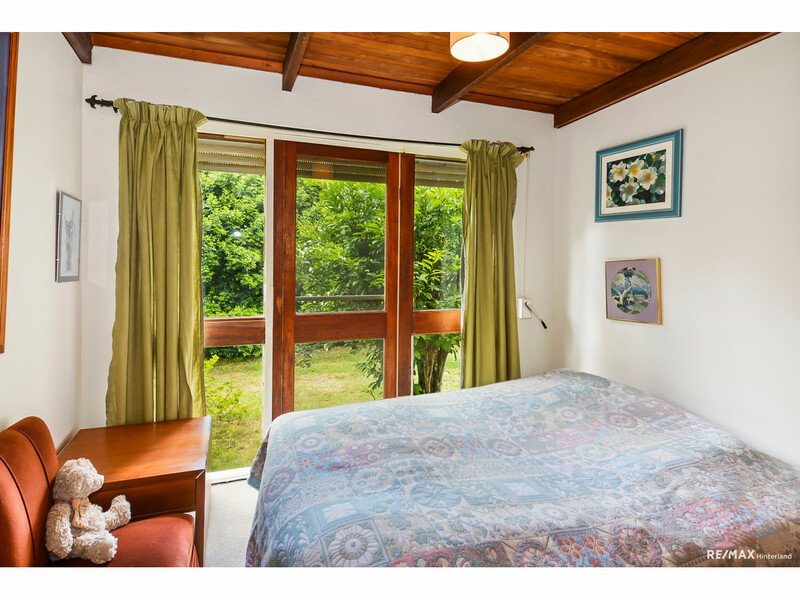 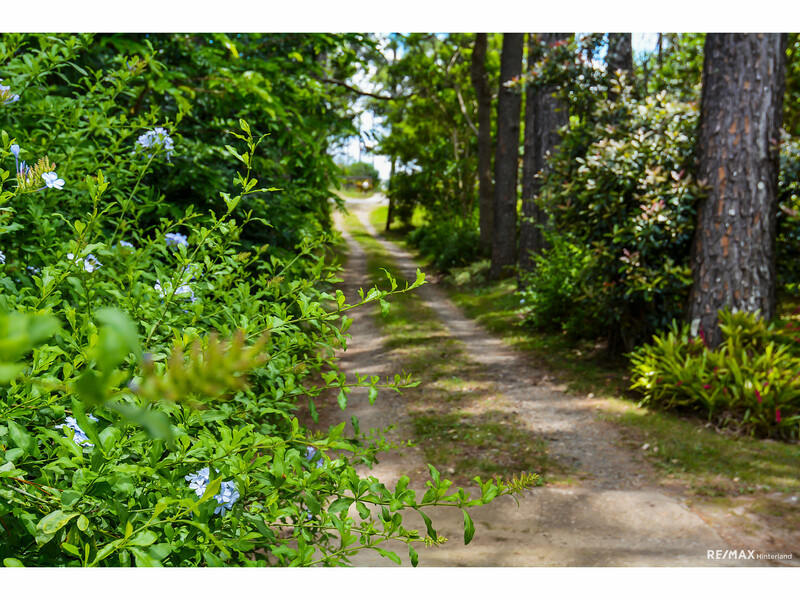 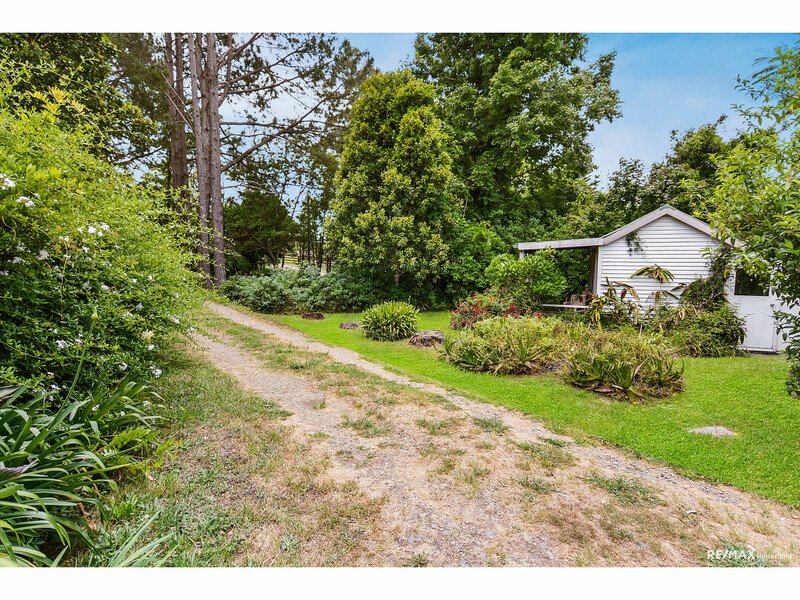 Set down a long treelined driveway, you first come across a cute little 2 room powered studio, complete with a covered front verandah which would make an ideal artists retreat, cubby-house or home office. 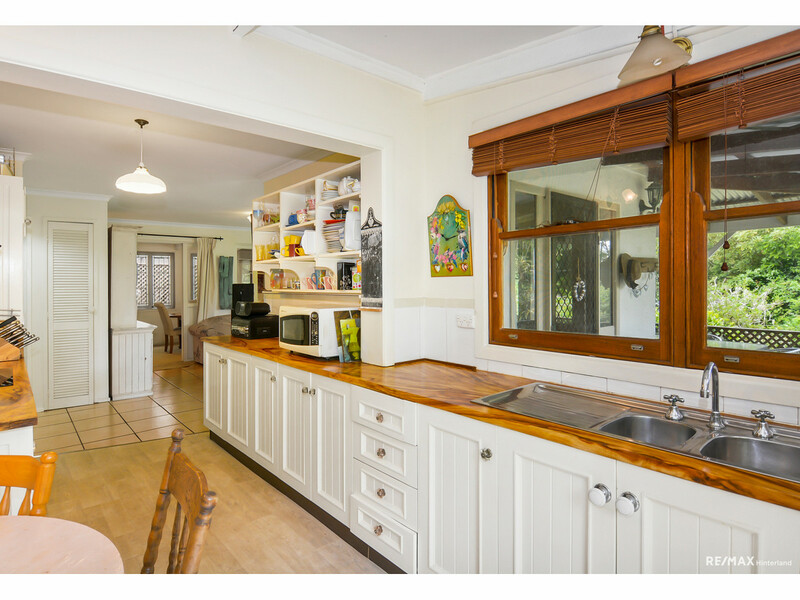 Continue on to the main home, filled with character and oozing with charm. 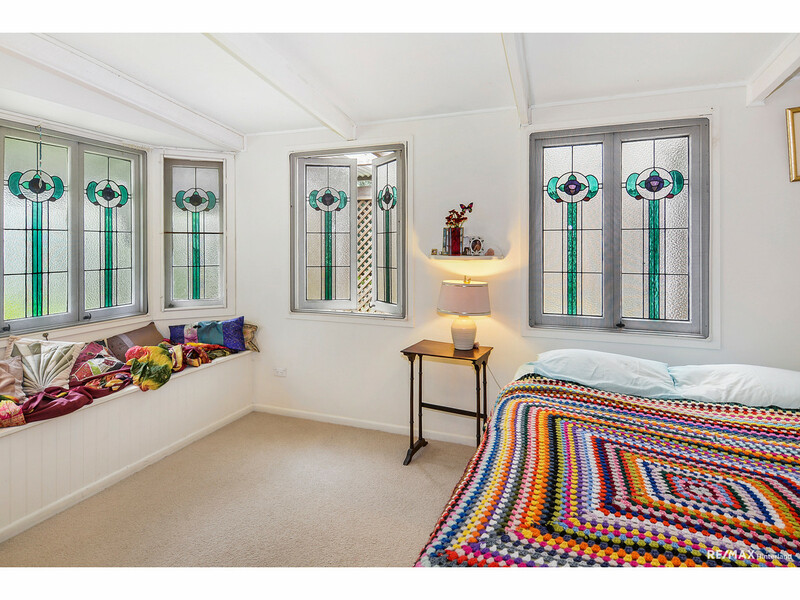 Stained glass windows throughout the home bring the gardens gently into the welcoming space. 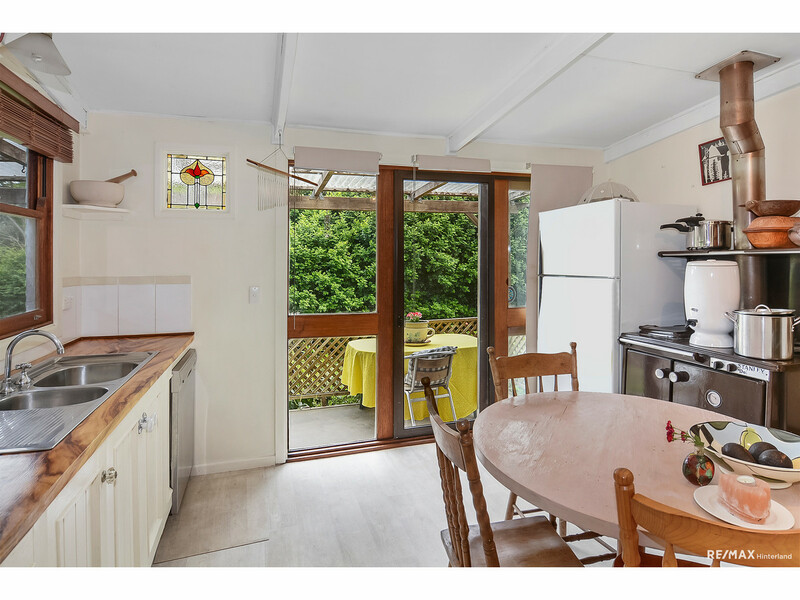 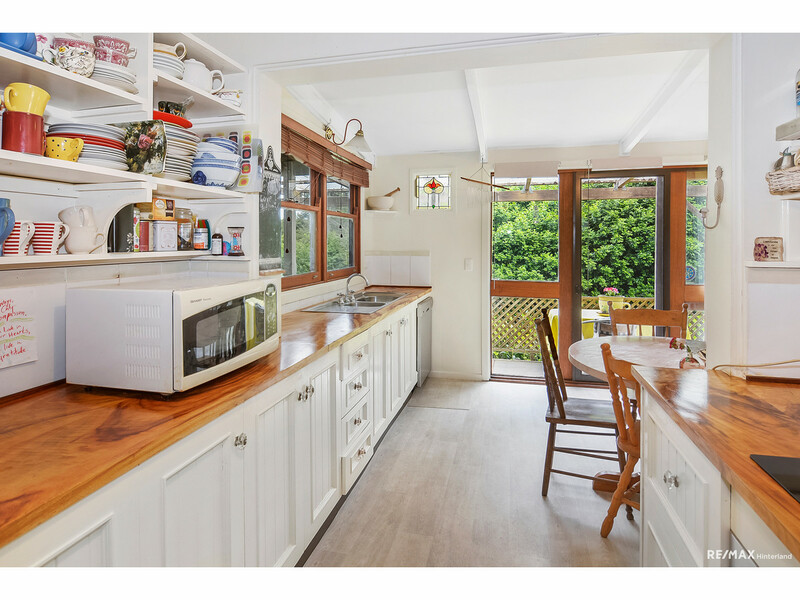 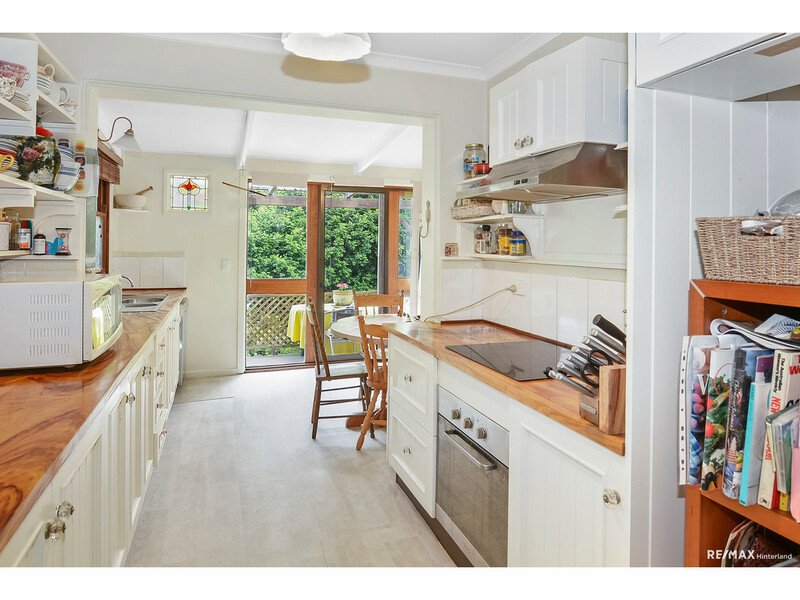 Enjoy the fully equipped country eat-in kitchen with the added bonus of a working free-standing fuel stove. 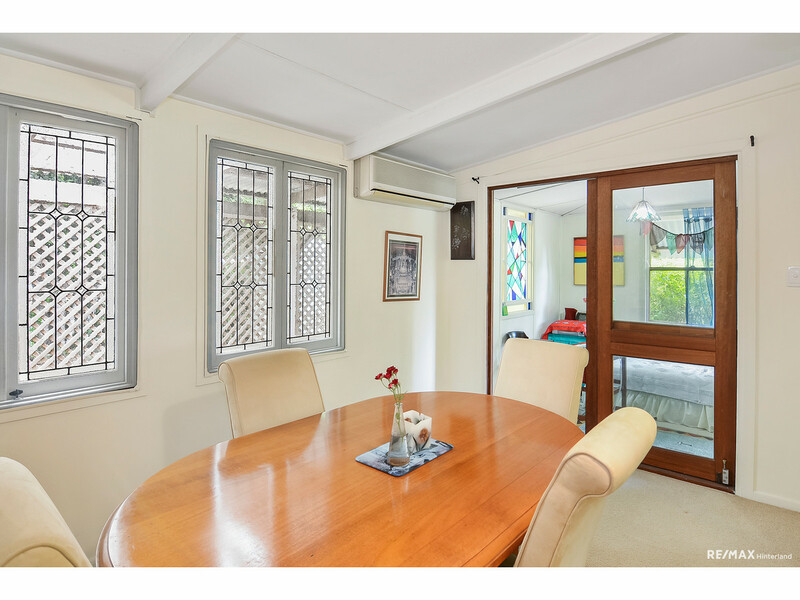 The living and separate dining room lead out on to the covered entertaining north and east facing verandahs which wrap around the home on two sides. 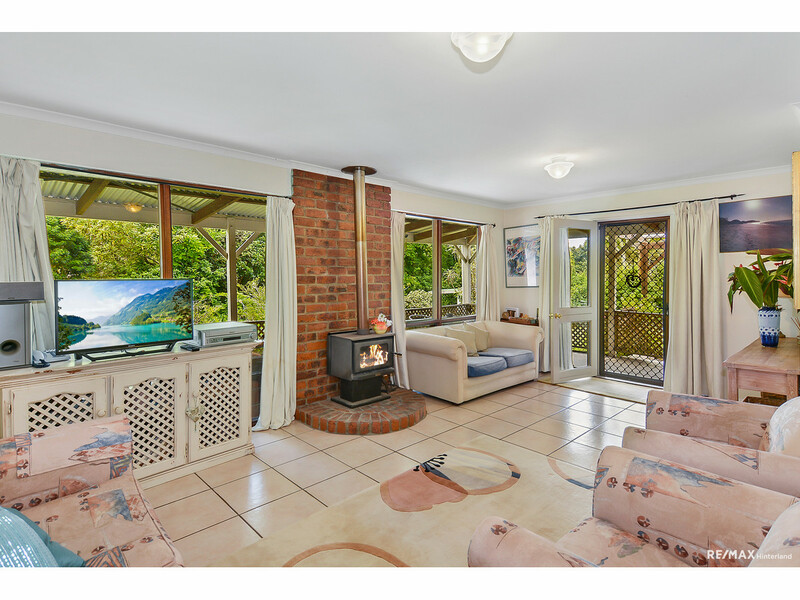 Cozy up to the woodfire in winter or fling open the doors and windows to enjoy the summer breezes across the gardens. 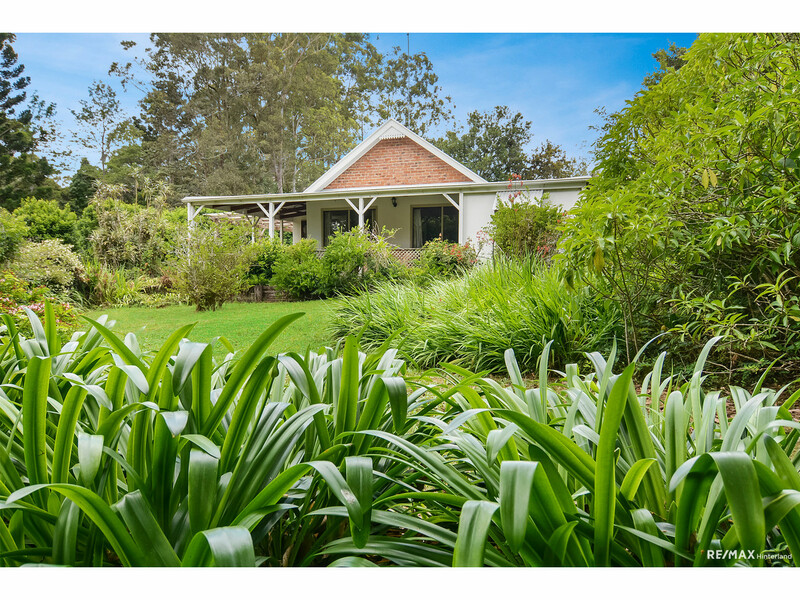 A rare gem in the heart of the Hinterland! 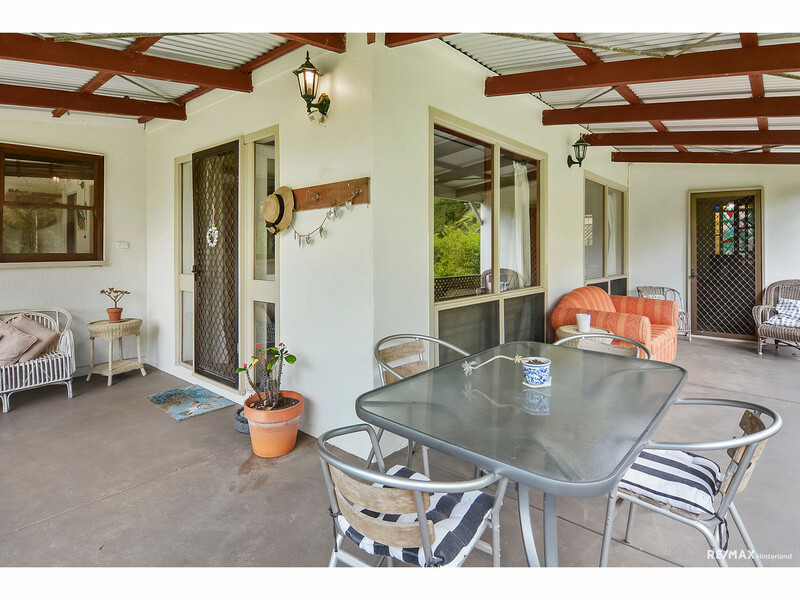 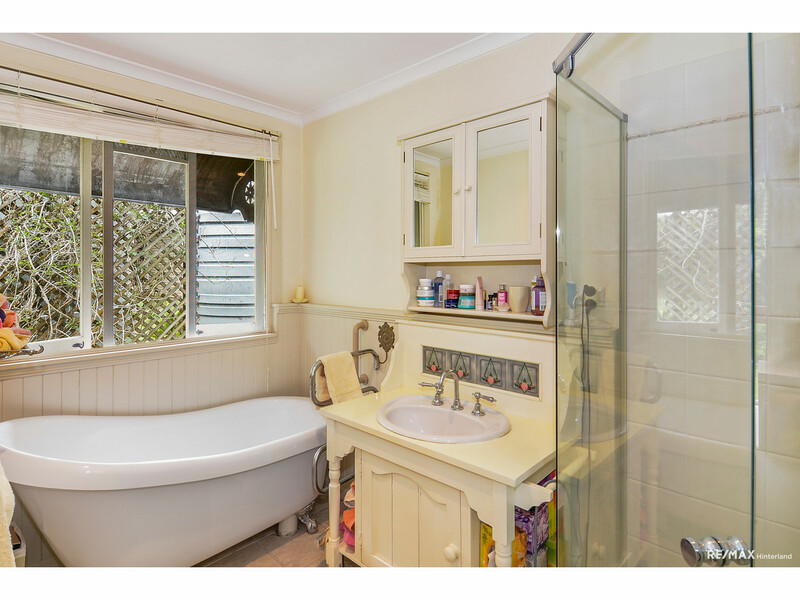 Contact the team at RE/MAX Hinterland today to arrange an inspection!